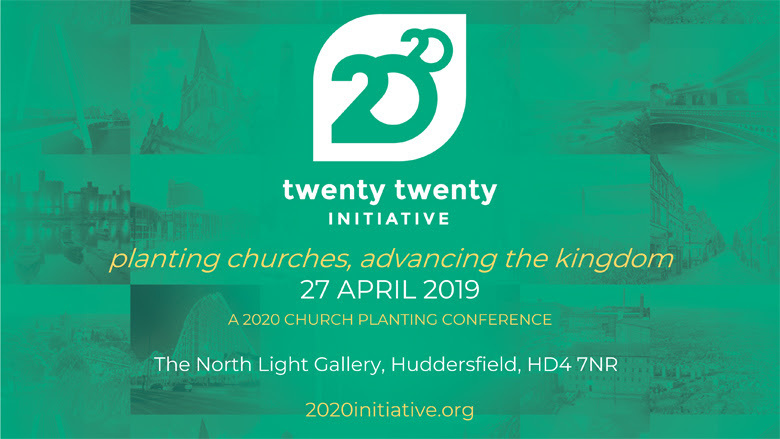 Church Plant News - all the up-to-date information about ChristCentral Church plants, training and conference can be found on the 2020initative web pages. At the recent ChristCentral leaders’ weekend, Jeremy outlined a new “wineskin” that would shape ChristCentral for the coming years. This will include a new “Church Planting” team – so watch out for further developments! 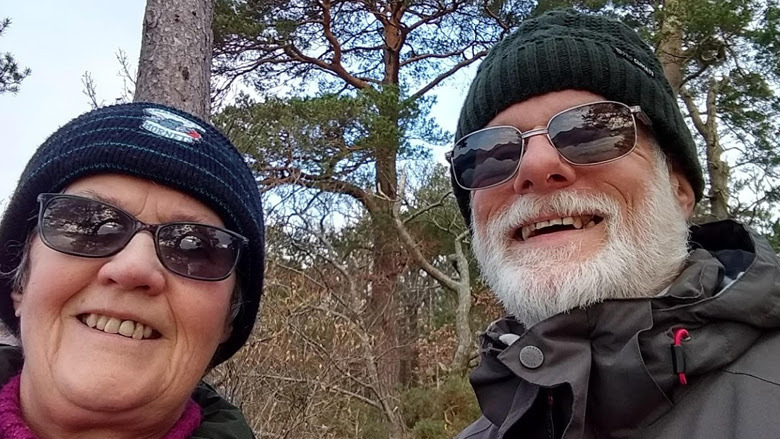 We arrived at the previous church planting conference in March 2016 feeling we had fulfilled our commitment to the church where God had placed us for the past sixteen years. We were uncertain what the next season was to be. Despite being past retirement age, several prophetic words had encouraged us to consider what God wished us to do next. The conference programme was informative, encouraging and helped us grasp more clearly the vision for church planting across ChristCentral. We enjoyed meeting others of all ages - some about to launch new church plants, others just there to find out what God was doing. For us, it was a good time to talk through our thoughts and uncertainties about the future with ChristCentral leaders. The ministry times were particularly encouraging. We received prophetic words which not only helped at the time, but they have subsequently provided vital confirmation of God’s direction when faced with decisions and setbacks. Fast forward three years, with earlier restraints having been removed, we are now excited to be in the process of moving to Halifax to be part of The Ark church plant. Within half an hour’s drive of the centre of Preston there are over half a million people. Each person was created through Jesus and for Jesus (Col 1:16). But most of them don’t know Him. Or, many think that they know about Him based on their experience growing up in a heavily Roman Catholic area. As a result they’ve written Him off, content that they’ve checked out religion and found it wanting. Others have grown up recognising the religious pluralism around them as many mosques pop up around the town and decided that no one can really know the truth. It would be intolerant to say we were right and they were wrong, wouldn’t it?! The odour of cults hangs heavy in the air too, with the first Mormon missionaries from the US having landed in Preston years ago. This makes people suspicious of anyone who claims to know the truth. Others have grown up in Christian churches which have sadly failed to teach the Bible, provide strong foundations in the Gospel or build a loving, grace-saturated community. What a fantastic opportunity to call people to faith in the true and living Jesus and to build a community which is all about Him! We are really clear and intentional about two things. Firstly, we’re clear about who Jesus is and what he’s done. He’s not a sideshow, window dressing or password. He’s supreme (Col 1:18). He’s the message. He’s full of grace and truth (John 1:14). He makes known the Father (John 1:18). It is his Spirit who dwells in us (Phil 1:19). Secondly, we build a loving community which anyone can belong to, wherever they’re up to. We’re saved by grace alone through faith alone, so there’s no room for proudly putting up barriers between people or working for our own interests. We want to build genuine friendships between people and see the church loving one another and building one another up. We’ve had the privilege of seeing God save people who wouldn’t have dared come into a church, or save people who had been lulled to sleep by the religious tokenism of liberal Christianity. People have been saved, added and now lead in areas of the life of the church. God has been very kind in giving us new friends like these for whom we will always be grateful. We’ve learned loads of lessons along the way. One is that people don’t like eating filled pasta every Thursday night for a year or more. Who would have guessed?! Another lesson is that prayer is essential. It is not just a devotional pastime, it is a wartime activity. We’ve learned that we’ve got lots to learn about prayer and lots of adventures in prayer to go on. Jesus promises them in His Word. We’ve learned (as if we didn’t already know) that sadly churches are generally churning out consumers rather than missionaries. We’ve seen that tendency in ourselves too, and know it needs to die. We’ve learned that salvation is a work of God on the deepest affections of the heart and not the product of slick advertising or clever messages. We’ve learned that we need as many Christians as possible to come and help us.